With the new school opening on the West side, Madison again must confront the competing interests and ideals involved in redrawing school attendance boundaries. The district has produced four plans (more may be in the works, or the existing ones may be tweaked). At a long and unusually non-confrontational meeting Monday (1/28/2008), concerned community members presented their views. Every attempt will be made to avoid creating schools with high concentrations of low-income families. It should be noted that this gives no guidance about schools with high concentrations of high-income families. The Equity Task Force asked the Board to consider having racial, linguistic and/or economic diversity figure more prominently in this and related processes. The Board has taken no action on this. 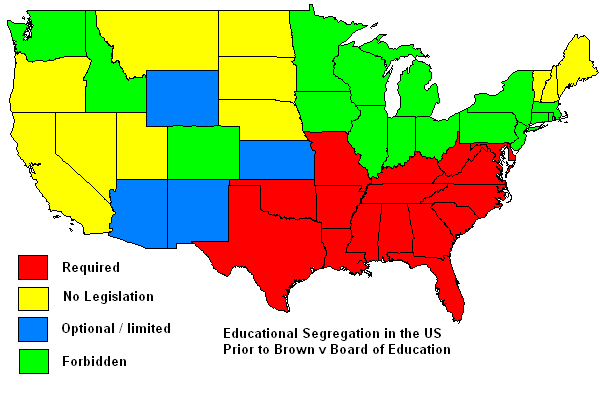 School boards may pursue the goal of bringing together students of diverse backgrounds and races through other means, including strategic site selection of new schools; drawing attendance zones with general recognition of the demographics of neighborhoods; allocating resources for special programs; recruiting students and faculty in a targeted fashion; and tracking enrollments, performance, and other statistics by race. Many consider Kennedy’s to be the “controlling opinion” in that without his vote the court would have been evenly split. 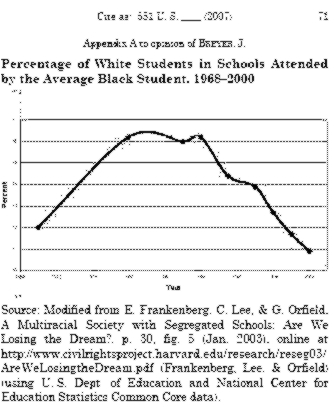 That sounds great in theory, say some experts, but the fact is that segregated schools tend to be highly correlated with such things as school performance and the ability to attract teachers. I agree with Wells, both in terms of resource allocations and in terms of the lessons being taught or not taught by segregated learning environments. Things aren’t that bad in most of Madison, but without a conscious effort to directly confront the issues they will be. As a friend reminded me today. the attention given to test performance data — measures that highly correlate with economic status — have induced some families to judge schools by simplistic measures and avoid those that aren’t “performing.” Often the schools being shunned are good schools with high percentages of students who are poor. In terms of resources, MMSD does what it can to direct resources to those schools with high needs, but the school finance system in general and the underfunding of Title I, Special Education, Bi-Lingual Education, SAGE and a host of other programs make this more difficult each year. When I start to talk like this, to suggest being more proactive on issues of diversity, many are quick to remind me of the dangers of “becoming like Milwaukee,” meaning a district or city that has been largely abandoned by the middle and upper classes because they believe the schools no longer serve their children. There is no question that the growth in low income and minority students will keep some people from sending thie children to Madison Schools and that under the revenue caps this will have an adverse effect on the all the children in the district. There is also no question that prioritizing the needs of our neediest will exacerbate this. I think that is a price we should be willing to pay. I am also well aware that dealing with these matters quietly and indirectly is easier for school officials, elected and appointed. Avoiding controversy and pretending differences (of status and opinion) don’t exist is always easier. For the most part MMSD has done a very good, if relatively quiet and indirect job of addressing diversity. I don’t think that is sufficient. I think being loud and direct at times is important. In a recent Education Week there was a review of a new book, Everyday Antiracism: Getting Real About Race in School, by Mica Pollock. The book offers 65 essays by scholars “who offer advice for educators on recognizing when everyday classroom practices exacerbate racial inequalities and on becoming more constructively conscious and open about race.” In an earlier book, Pollock had coined the term “Colormuteness,” to denote the reluctance to talk about race directly. What Pollack is championing for the classroom, I am urging for the wider public sphere and not just for color or race, but other dimensions of inequality as well. I was at a meeting last night where the talk turned to the responsibility of communities like Madison to demonstrate that diverse public schools (along with other progressive social policies) can and do work. The idea is that we need to serve as a counter example for those who would throw up their hands and say segregation and inequality are too intractable, or want to privatize schools and services because they have given up on public institutions. Madison has the resources and the communal will to do this and I believe many of us, quietly and indirectly, try. Quietly and indirectly isn’t good enough to meet this responsibility. Quietly and indirectly sends the message that we aren’t confident that we are right and able. 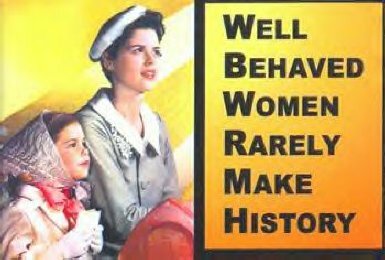 We need to be loud and proud, we need to confront and demand and be relentless. Kind of a long trip from the current West side boundary discussion. To bring it back around, in that context I would like MMSD to say, “yes we do seek diverse schools because we believe that in 1,000 ways diverse schools help combat inequality and segregated schools reinforce inequality. Creating opportunities and combating inequality are central to our mission.” More generally, I would like all associated with the schools to enact policies (including those proposed by the Equity Task Force) and follow practices (including those proposed by the Equity Task Force) that are proudly proactive on matters of racial, linguistic, economic and other inequalities. Last, I’d like us all to talk about this, not around it. 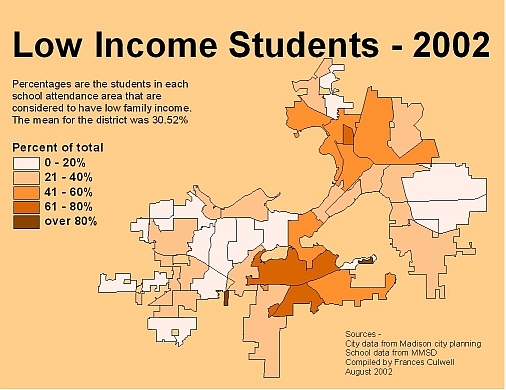 Looking at MMSD’s elementary school racial diversity and low income percentages is very interesting. Generally, schools with higher low-income percentages have the highest racial diversity (meaning, evenness of four main races). Midvale-Lincoln, the school which our 3 kids traversed, has a high low-income percentage but a very well supported community (from all racial sides). This is a community, despite it’s economic struggles, continues to support itself. What we have to worry about are the schools in which the community is losing hope. Poverty is not as rough as despair, in terms of shaping the road to educational attainment. This goes for the economically advantaged, as well. I took a closer look at 3rd grade reading scores on top of the low-income vs. diversity plot. Turns out that, when you compare schools in the same general category of low-income percentage, the schools that tend to do best in terms of reading scores are also the most diverse. I’ll have to put out a note about this soon. This is not so much causation, I think. A high racial diversity means a that the community drawn to the school continues to find support and opportunities to contribute to a school. People who are drawn to the school can see promise in it, and participate in building a real learning community, even if they carry some baggage of racial stereotypes and fears about behavior. What is refreshing is that, people, despite fears and biases, continue to invest their energies in making our elementary schools successful. Skilled and well-supported educators with a strong curriculum are a must, too, and this cannot be understated. Sorry for the preaching, but it is a bit disheartening that some in our community, despite real evidence of success and bucking the negative trends of white flight, still believe the racial diversity we have in the school district is somehow a disadvantage. Schools are successful because kids are drawn to learning there, that they know their families and their neighbors are supportive of their learning, and that their learning has purpose – even just if the realization that they enjoy learning with their friends.